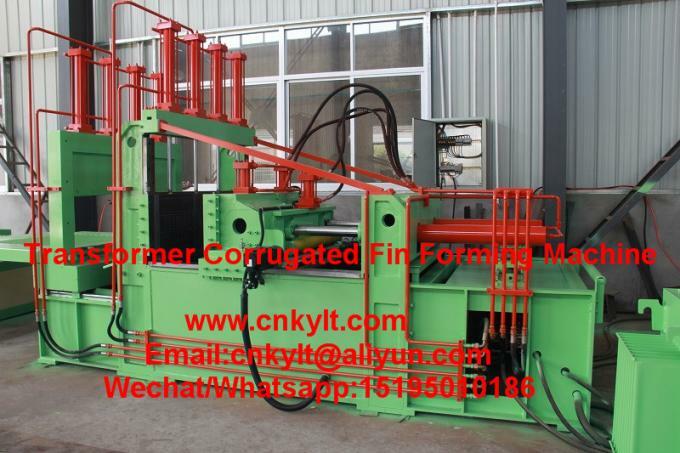 Corrugated fins wall Seam automatic Welding Machine be used to weld corrugated fins seam after steel sheet be formed as required shapes by Corrugated Fins Wall Pressing Machine. 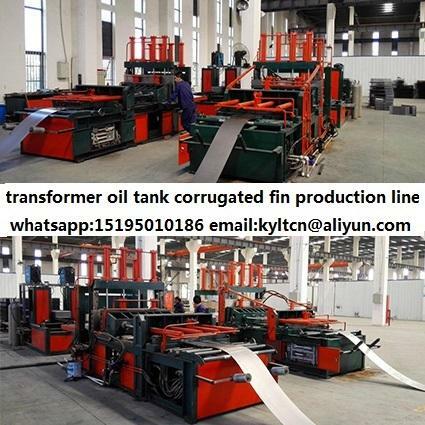 Full automatic JTFY 1300-400 corrugated fins welding machine controlled by PLC, operated by touch screen, fin width and length can be set as per clients requirement. 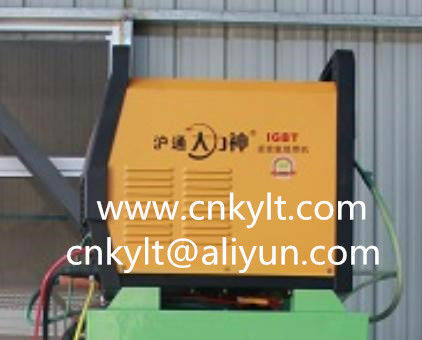 Automatic infrared sensor control, auto-welding group corrugated fins,servo motor controls the welding gun moves up and down automatically. 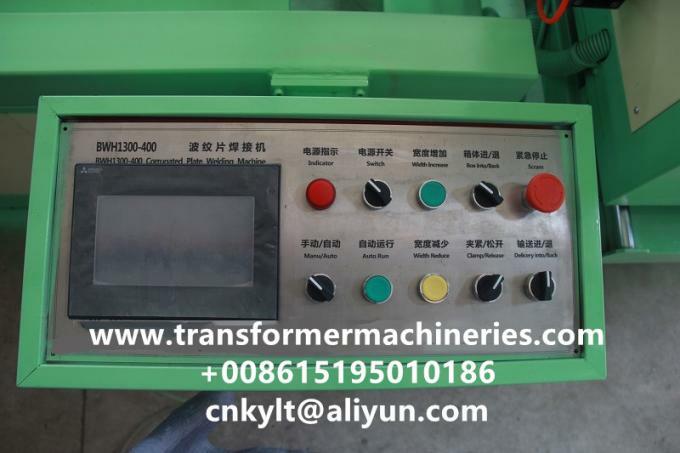 The machine is driven by the reducer drive chain for horizontal movement of the corrugated fins, automatic stop, automatic continuous welding corrugated fins, corrugated fins using pneumatic clamping ,welding servo motor driven ball screw up and down vertical movement, the width and height of the corrugated fins are set an the touch screen. The operation is simple and easy to understand. The welded corrugated fins have good appearance, smooth surface. a. 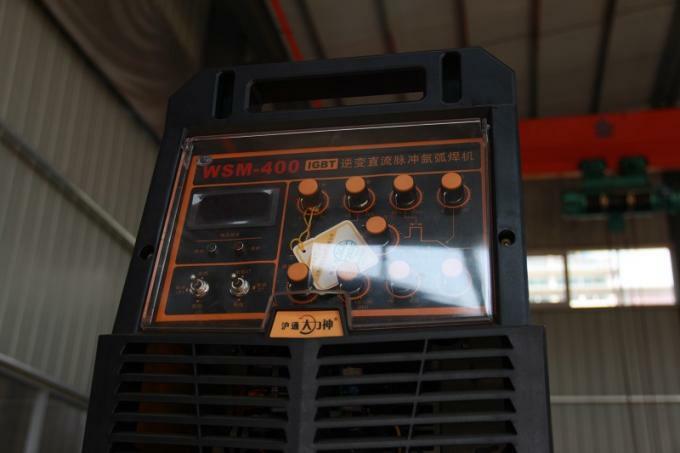 Adjust electric current slow increase & decrease, welding process be controlled effectively. b. 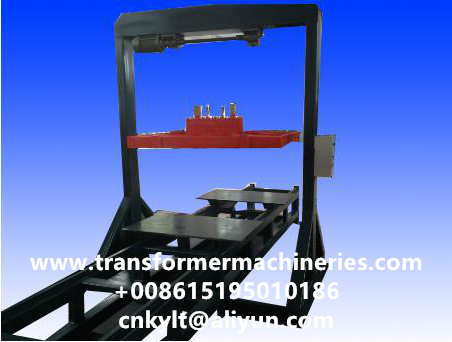 Equipped with pulse welding function, pulse frequency division high frequency / low frequency. c. Has perfect undervoltage, overvoltage and overcurrent protection, and is safe and reliable. 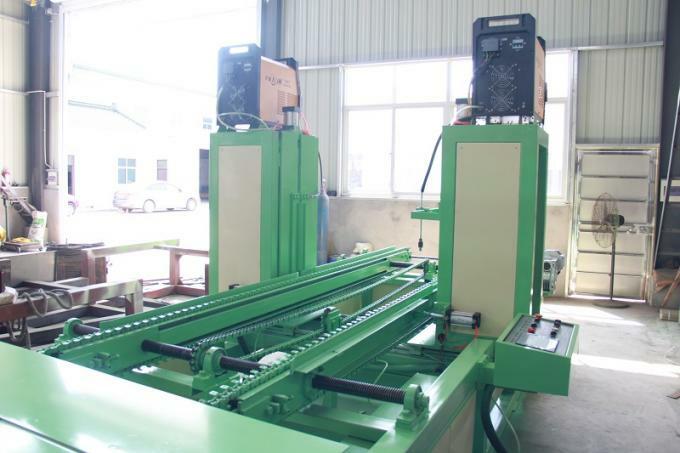 d. Welding station rotation, circular welding operation, vertical welding seam. e. The workpiece is clamped by the fixture . 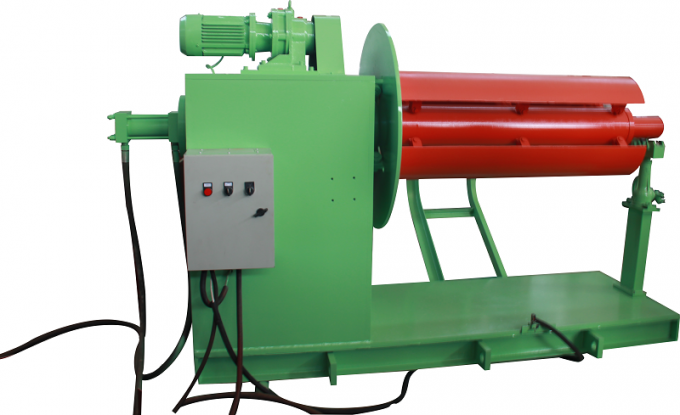 f. Machine has high voltage, slow arc ignition function, reliable arc ignition and low voltage arc suppression. 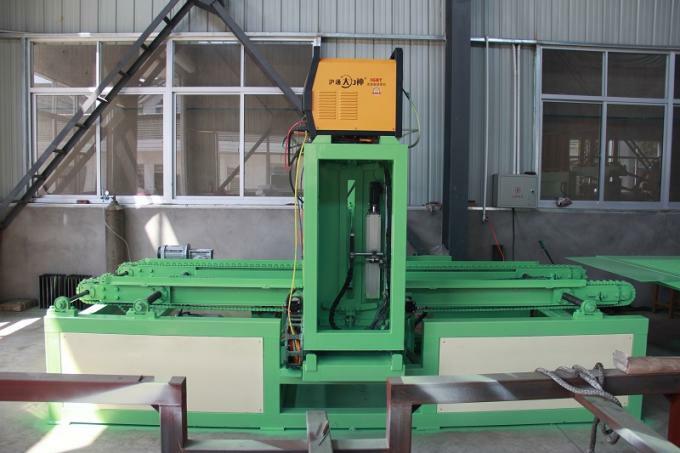 g. The welding gun can be adjusted horizontally, and it can be used to weld various specifications corrugated fins.